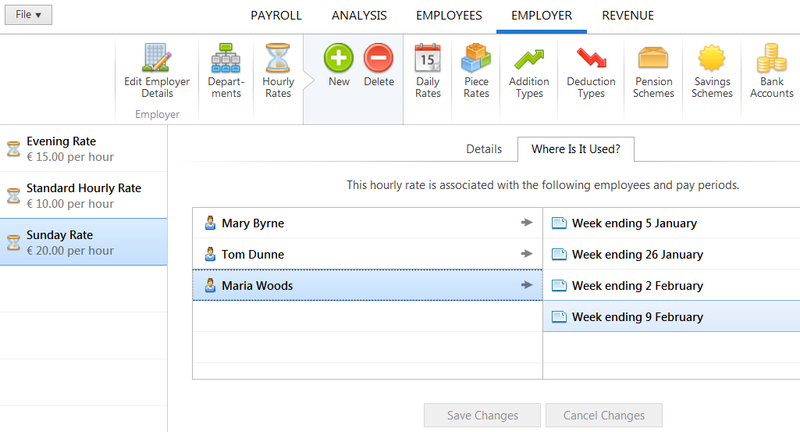 1) To add a new Hourly Rate – select Employer > Hourly Rates on the menu toolbar, followed by Add New Hourly Rate. Enter an applicable description and the rate per hour. If the hourly rate is to be classified as an overtime rate, tick the box provided. Click Save. 2) To view or edit an Hourly Rate– select Hourly Rates on the menu toolbar. Select the hourly rate from the listing and view/amend accordingly. Click Save Changes.